The return of Comedians in Cars Getting Coffee, Jerry Seinfeld‘s Crackle web series, will include plenty of classic cars. However, it is a modern car company that will feature most regularly in the show. Acura, which has worked with Seinfeld in the past, will be the exclusive sponsor of season 2. Founded during the 80s, Acura doesn’t exactly scream classic, but the company will have some product placement for its vehicles. Apparently, one episode will feature the new Acura MDX, meaning one guest comedian won’t get the fun of riding around in a crazy-looking classic car and will instead have to settle for a brand new luxury vehicle. Man, these celebrities have it hard sometimes. The sponsorship, which will run for 24 episodes over the next year, will also include pre-roll ads from Acura. This is not the first time Acura has worked with Seinfeld. They joined forces for a Super Bowl ad in 2012, where the comedian did everything he could to drive the year’s first NSX. “We love Jerry’s unconventional fan-first approach of creating great content and trusting the right people will find it,” said Mike Accavitti, Acura’s senior vice president of auto operations. 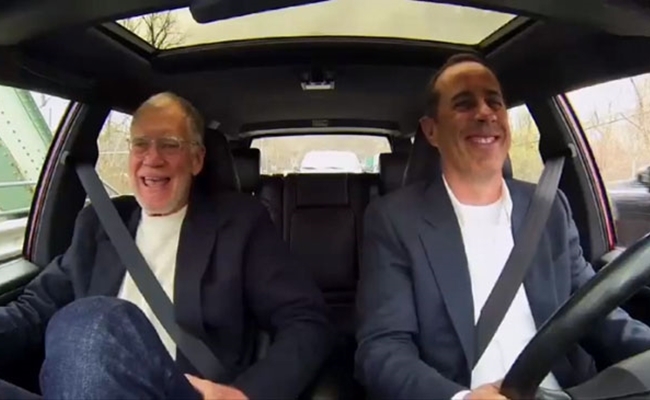 The first new edition of Comedians In Cars Getting Coffee will debut June 13th, with Sarah Silverman (who is herself no stranger to the online video world) serving as the first guest. Five more episodes will follow, with 18 more set to run later this year and in 2014. Future guests will include David Letterman, Chris Rock, Don Rickles, and, of course, the new MDX.